MindView Assistive Technology (AT) software enhances the student's ability to visualise, organise and present information. MindView AT sets the new standard for ease-of-use and productivity. 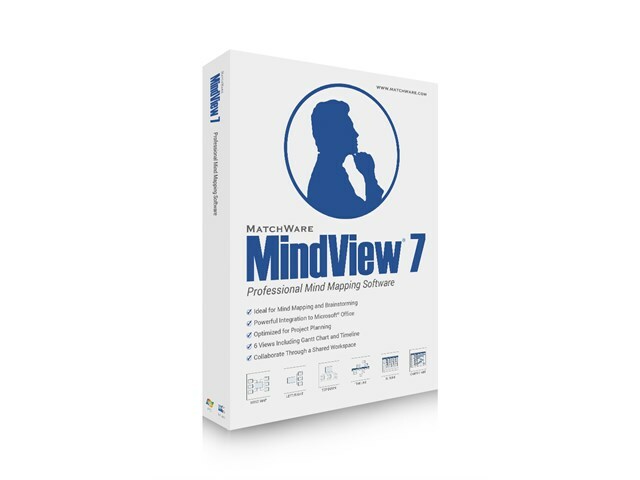 Please note: MindView V7 AT software is downloadable software delivered via email within 2-3 days of receipt of order. Available as a single user licence only, price listed is per each multiple licence. The release of MindView AT demonstrates a dedication to students and professionals with reading, writing and learning difficulties. MindView AT has been designed to help visual thinkers create impressive written assignments and presentations. The smooth transition from a Mind-Map to Word and PowerPoint means students can make powerful, formatted documents ready for assessment. The added assistive technology software functionality, including text-to-speech, Dragon integration, predictive text, and audio notes make MindView AT the industry leader in mind mapping for assistive purposes. A simplified interface for easier navigation. Dragon integration with native commands. Get thoughts onto the page using visual Mind-Maps. Convert them into Word Documents and PowerPoint presentations.